I am a devoted reader of weight loss books. One might say addicted even. Sigh. 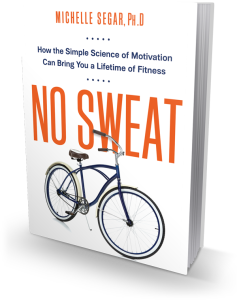 I found Dr. Michelle Segar’s book No Sweat: How the Simple Science of Motivation Can Bring You a Lifetime of Fitness a welcome change from the norm. Dr. Segar is a motivation and sustainability scientist. Who knew there was such a thing? She also directs the Sport, Health, and Activity Research and Policy Center at the University of Michigan. Deep down, anyone who has ever been on a diet knows that a short-term fix is never the answer. Dr. Segar shares the research to verify this. Her ideas are then geared to lifelong changes. You do have to get some movement into your life. The good news is that small changes add up. It’s not necessary to exercise to the point of exhaustion for long periods at a time. But it is necessary to find activities that you actually like to do or can reframe in a positive light. For example, Segar herself makes a habit of parking off campus and walking the rest of the way to work. It’s not only cheaper but the walk gives her a chance to clear her head. She advocates walking as the most accessible form of movement. Segar calls her system MAPS: meaning, awareness, permission, and strategy. She leads her clients and the reader through looking at the meaning they attach to exercise, the awareness of how motivation works, the permission for self-care, and strategies for success. For me, the negotiation strategies were most helpful. 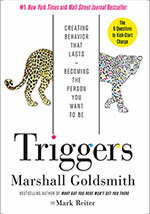 Segar recognizes that life happens and offers practical and compassionate advice.